As one of the biggest electronic and appliance names in the world, LG is a leader in innovation. And with an expansive history of working with big names in the appliance industry, North Forty offers a level of expertise that helps LG stand out in the pack. 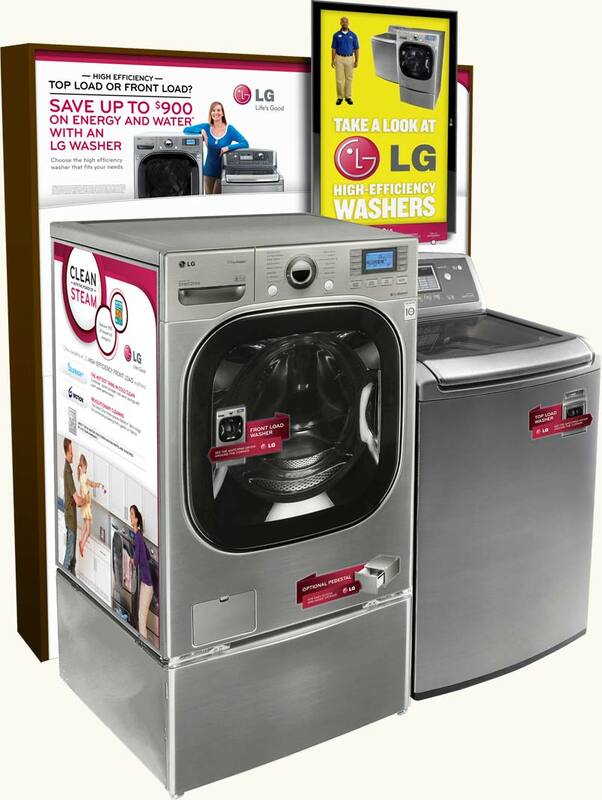 From point-of-purchase displays to video scripts and circular ads, our partnership with LG is only growing. Working closely with LG’s marketing team, we helped develop national newspaper ads, revolutionary point-of-purchase pieces, intriguing circular ads and engaging training materials. LG home appliance videos, featured in stores and on the web: North Forty concepts, scripts and oversees production of short videos highlighting key LG innovations. 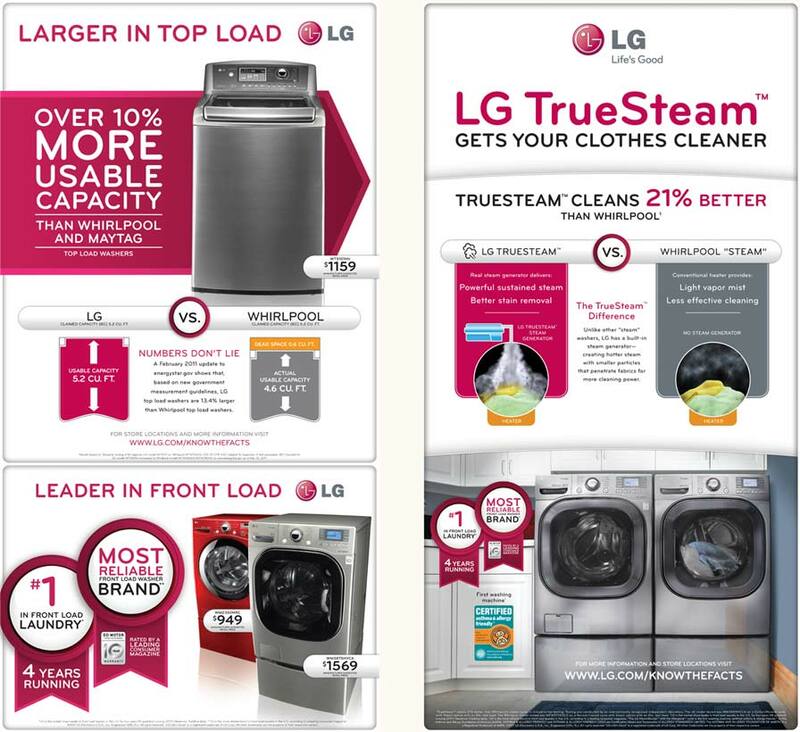 Top to bottom: "Bigger is Better," "A Revolutionary Spin on Laundry," "Cleaning, Made Easier." 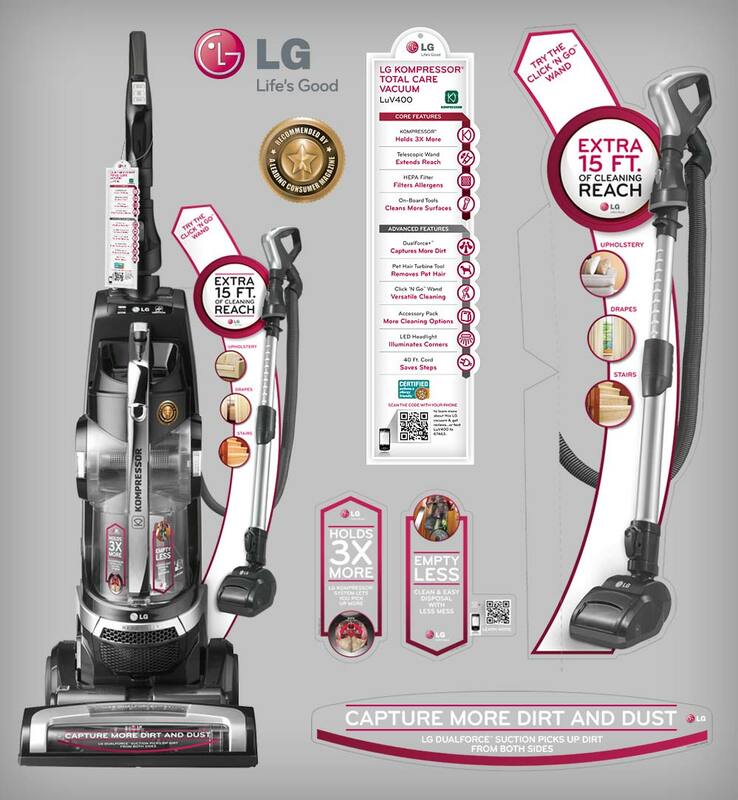 Vacuum point-of-purchase pieces: Decals, stickers and multi-dimensional pieces attach to appliances to help communicate key benefits to shoppers. Best Buy laundry endcap display: Decals, magnetic side panels and a backer complete with a video loop draw attention to a pair of standout LG appliances. 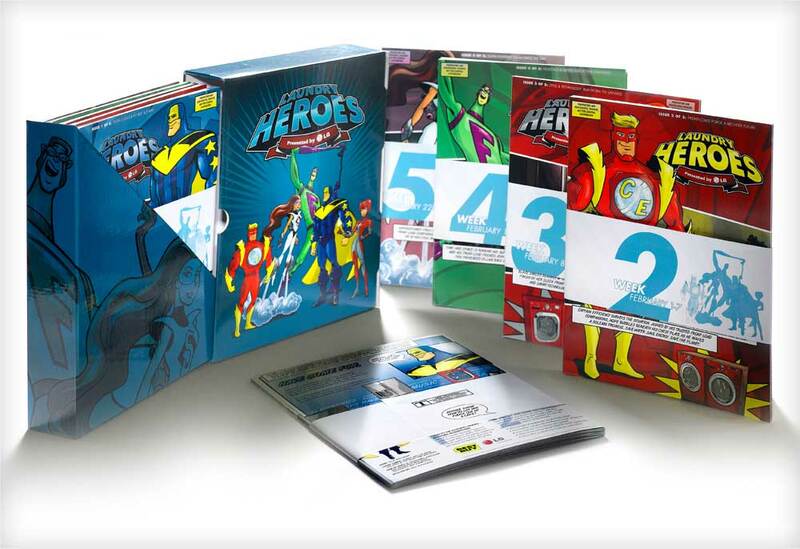 Best Buy Laundry Heroes campaign collateral: Comic book-inspired training materials make becoming an appliance expert fun. 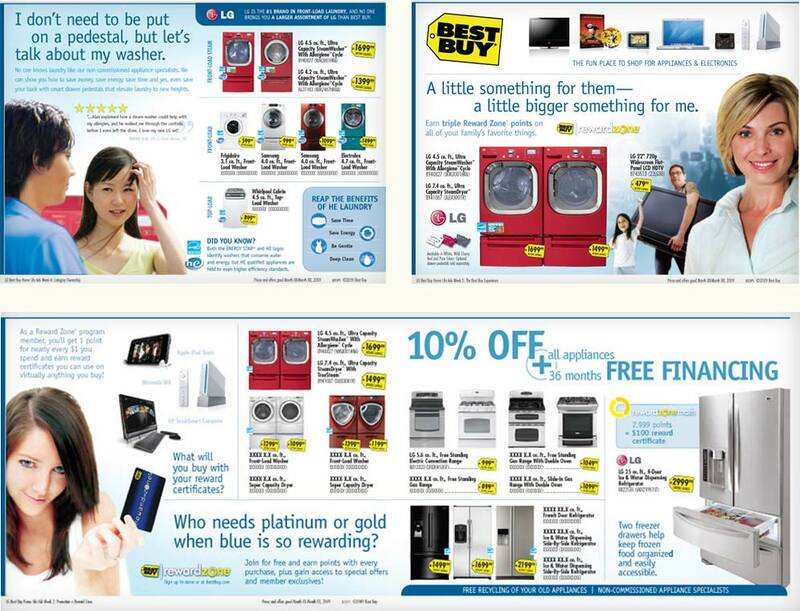 Best Buy circular ad concepts: Infusing a more personal look and feel into a national circular. 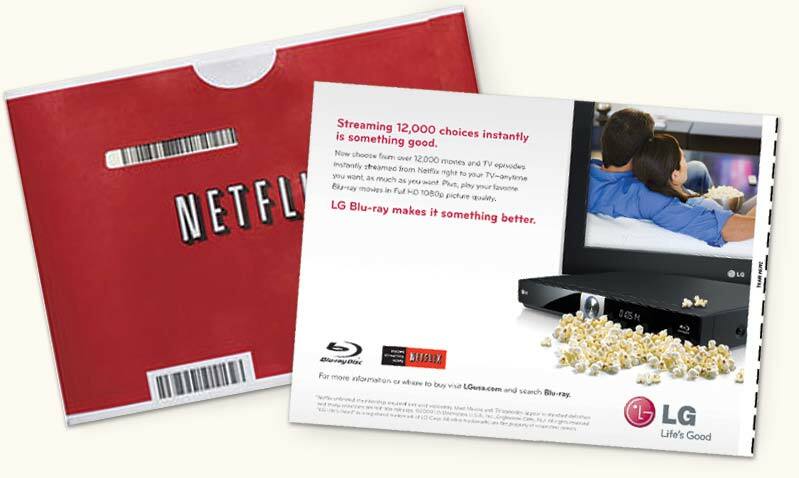 Netflix sleeve ad: Highlighting a product, a partnership and the convenience of streaming Blu-ray straight to your TV. 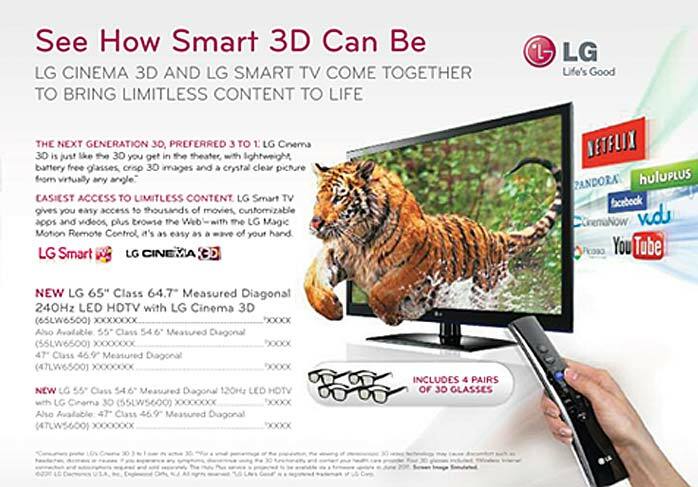 Smart 3D TV retailer ad: One of a series of cross-category ads developed for retailers, ensuring consistency of LG visuals and voice across all channels. National newspaper ads: Ads touting a distinct advantage over competitors were featured in The Wall Street Journal and The New York Times.